Last week I had 2 flowers left to finish stitching and guess what? I did it! So, that makes 120 flowers. 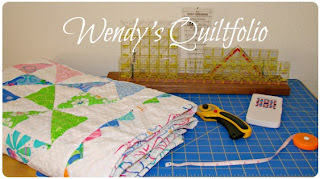 I anticipate making a large lap quilt with 10 to 11 flowers across and the length a bit longer than width. Here's a snapshot of my garden layout. ﻿I fought with my camera to get these pics. I just couldn't seem to get the right lighting to show the colors (they're brighter) as they really are. And I'm still under the weather with a nasty cough/cold so I lost the battle. I did a few close up shots (trying to get rid of the carpet background ;)). I kind of focused on that yellow and red flower right in the middle. That's the last flower I made! So, I'm feeling quite accomplished having finished the flowers and ready to move on through the next phase. Hope you're making progress and keeping well! See you next One Flower Wednesday! They look so pretty together!! I am so excited for you!! Feel better soon! Congratulations! That's quite an accomplishment!! You will have a completed quilt top before you know it. Wow!! Congratulations on your accomplishment. I have only completed a dozen hexis. How large are yours? Wow! I am impressed. I have 21 flowers in my garden so maybe someday I'll have as many as you do. Yours are beautiful. They all look gorgeous layed out on the white. Looks like Spring has come to your garden. Good for you!!!!! I love the layout and the white inbetween will be perfect! It is very hard to get an even distribution of colour, it took me a month to get mine right! Wow, you have got a lot to be happy about. They are all beautiful! Your flowers are so pretty. Must become a lovely quilt with that white pathway. Congratulations to you! You have finished all flowers. And the white fabric for the pathway is just perfect! Congratulations on being so close. It will be a very nice bright quilt. It is hard not to over think the placement of your flowers, I have that to look forward to yet. Wonderful Wendy, congratulation with an almost finish. I didn't get mine done this week but I will next Wednesday. Love your flowers! What a lovely garden! I am looking forward to seeing the next steps completed. On my those hexagons are just beautiful together. Can't wait to see your finished top.